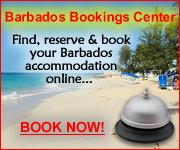 Barbados self catering vacation apartments and hotels offer the comfort of a hotel room combined with the convenience of your own cooking facilities. Most are located on/near the beach and are especially suitable for family holidays, groups of friends and those visiting the island for several weeks. 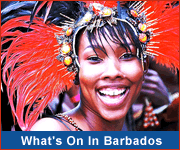 You may also want to visit some specially selected Featured Self Catering Properties, or search for your perfect Barbados accommodation! For an alternative to apartments consider a luxury villa holiday. #1 Blue Ocean Cottage: For all our apartments: Special Offers Long stay : 21=19 or 14=13 !! Yes the new EXCLUSIVE AND GREAT PROMOTION OF THE YEAR STARTED !!! If You book a stay of 21 nights You get 2 nights for free!!! If You stay 2 weeks You get 1 free nights!!! Search and compare hotels & resorts then Book Online! Find packages,islands,air or plan your own.